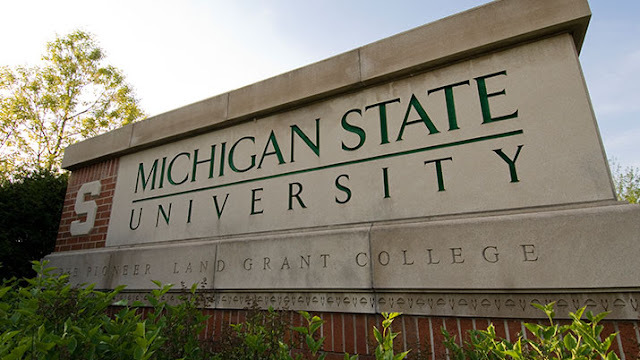 Building on the capacity strengthening component of the project, several short-term graduate student visiting scholar positions for Nigerian students at Masters and PhD level will be offered at Michigan State University (MSU), East Lansing, Michigan, United States of America over the 5 year life of the project. About the Award: Toward component 1), the project offers a visiting scholars program. Short-term Project Scholar positions for Nigerian graduate students (studying at an accredited Nigerian university) are offered at Michigan State University (MSU), East Lansing, Michigan, USA, during August 2018–May 2019. FIVE short-term post graduate student scholar positions are on offer for either Master’s or PhD level. The Master’s Level positions are for 1 semester, and the PhD Level, 2 semesters. Project scholars will enroll in analytical/technical courses such as Statistics, Econometrics and Agricultural Development. The courses will be taken for credit, and depending on the Nigerian University requirements, would count towards the scholars’ Nigerian degree program. Also, while at MSU, the scholar will be expected to continue research work on their selected topic or a topic of interest to project stakeholders in Nigeria in addition to the course work. They will work under the supervision of MSU faculty/IFPRI researchers. The scholars’ tenure will be considered a full-time position with the expectation that the scholar will invest the requisite amount of work, study and time to be successful. Upon return home, scholars will be expected to support project activities (as determined by the project) based on their skills and competencies. 2) Interact with MSU faculty in related areas. This interchange will enhance on-going research collaboration between MSU faculty, IFPRI researchers and Nigerian scholars. 3) Upon return to Nigeria, the professor will organize presentations and seminars for students at department, faculty and university levels at the home institution..
Good academic standing in their academic institution having the equivalent of a minimum GPA of 3.5 out of 5 (or equivalent for a 2nd class, upper division). Good moral standing and found to be a fit and proper persons and in no way have any pending disciplinary cases before a duly recognized and constituted disciplinary body. Demonstrated interest in an area being studied by researchers working under the Nigeria Agricultural Policy Project. Accept the responsibilities attached to participation. Selection Criteria: Candidates will be selected on the basis of their previous research and academic achievements, the short write-up (included in the application packet), GPA, their ability to demonstrate strong commitment to research and their academic advisor’s willingness to participate in the program. Travel related costs, lodging and meals. Travel related costs are limited to visa fees, visa procurement, and round trip air tickets from Nigeria to East Lansing, Michigan USA. Monthly stipend of $1,000. Up to 4 months for the Master’s Level, and up to 9 months for the PhD level. Medical insurance for the duration of the Project Scholar’s MSU program. No support whatsoever is provided for dependents. A short write-up on the role of research in the Nigeria Agricultural Policy Process and how the applicant’s work fits into this (no more than 2 pages double spaced). A statement from applicant’s primary academic advisor indicating willingness to support the application and the advisor’s availability to work with the Feed the Future Nigeria Agricultural Policy Project and participate under the Academic Advisor segment of the Award. Application documents must be submitted to NAPP2017@msu.edu by midnight on 28 February 2018. The email should have on the subject line: Application for 2018-2019 FTFNAPP Short-Term Visiting Scholar Program at MSU.All application materials need to be submitted as attachments to a single e-mail, preferably in a “zip” file. Successful applicants who have been shortlisted will receive word of acceptance and details on next steps by April 1, 2018. Award Provider: The Feed the Future Nigeria Agricultural Policy Project is funded by the Nigeria Mission of the United States Agency for International Development (USAID), and implemented jointly by Michigan State University (MSU) and the International Food Policy Research Institute (IFPRI).